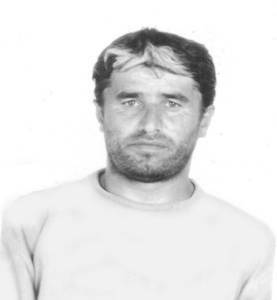 Khatuev Sultan Akhoevich, 1962. kidnapped in August, 2, 2004. In August, 2, 2004,at 20.00 in the evening,in the reception camp «Konservny zavod»,six men(a native of Bamut settlement,Achkhoi-Martanovsky district of Chechen republic Sultan Khatuev;two brothers,the Akievs and three more young men in the age of 20-23 years old,one of that is a one-legged invalid,Umalat Israilov,MKP superintendent.) were arrested by members of the power structures. during checking identify papers. Some of the members of the power structures were camouflaged and some were in the civvies,masked and unmasked,ingush and russian.More than 100 men. They came by armored troop carriers,autos «Niva»,«Zhiguli»,«UAZ» and «Gazel. Many autos had no licence number plates. The camouflaged men did not introduce themselves,did not explain reasons their rude and strict acts,insulted women and oldmen when those tried to get to know reasons of such their behavior,used obscene language. The arrested men were brought to Sunzhensky district department of internal affairs. We stayed up to midnight about the militia building. During that time, two brothers,the Akievs were set free. The members of the district department of internal affairs assured us that the rest of the arrested men would be released next morning but they were removed in another place. In the second part of the day,in August,3, in Magas building of FSB, two of the arrested men were given to us. The boys were hardly beaten,they were tortured with electric current and threatened to kill them if they would tell anybody what took place. According to the lads’ words, they were required to tell about their taking part in events happened in June, 21-22, in Ingushetiya. They said that Sultan Khatuev was with them.And they heard his cries and moans when he was being beaten and tortured there. That time,a man,coming out to us,introduced himself as a deputy chief of RF FSB bureau on Ingushetiya and told Khatuev and Israilov had also been released. When got to Ordzhonikidzevskaya stanitsa,we got to know Israilov was really set free but Khatuev was not. Umalat Israilov was cruelly beaten.There were traces of tortures with electric current on his body. According to Umalat Israilov’s words,he was driven up to Ordzhonikidzevskaya outskirts in the autoboot,put a 100 rubles note into his passport,took a golden watch off his hand and commanded not to remove the cellophane bag,drove away. In Sunzhensky district of internal affairs,we were said that Khatuev and others had been handed to RF FSB bureau on RI. In RF FSB bureau on RI,we were said that they had not got Khatuev in and that two arrested ones they had released in August,3 . Ask for aiding in search of my husband,Sultan Khatuev.